The Carl Martin DeLayla XL is designed and developed with one goal in mind: To create a superior echo pedal, with the same sonic quality as the original DeLayla but with new extended features, yet incorporating some of the same features used in vintage tape delay units. To achieve this, they have incorporated a second delay head (slapback) (similar to using two heads simultaneously on a tape delay). The Carl Martin DeLayla XL is able to capture one of the hardest sounds: That authentic rock'n roll slapback echo, that digital processors are unable to emulate. The SLAPBACK footswitch is used to turn the second delay head on or off. The SLAPBACK knob controls the mix of main delay vs. second delay head. Clockwise movement favors the second delay head; Counter clockwise favors the main delay. The SB-TRIM knob fine tune the second delay head's time setting compared to the original delay head, by this it's possible to create different delay patterns, going from strict slapback to way offbeat. The TEMPO tap is a real time tempo learn function, allowing you to foot tap the delay time to match the exact beat of the song. The result is a warm, smooth sound reminiscent of the vintage tape units used in the 50's and 60's, combined with modern features. 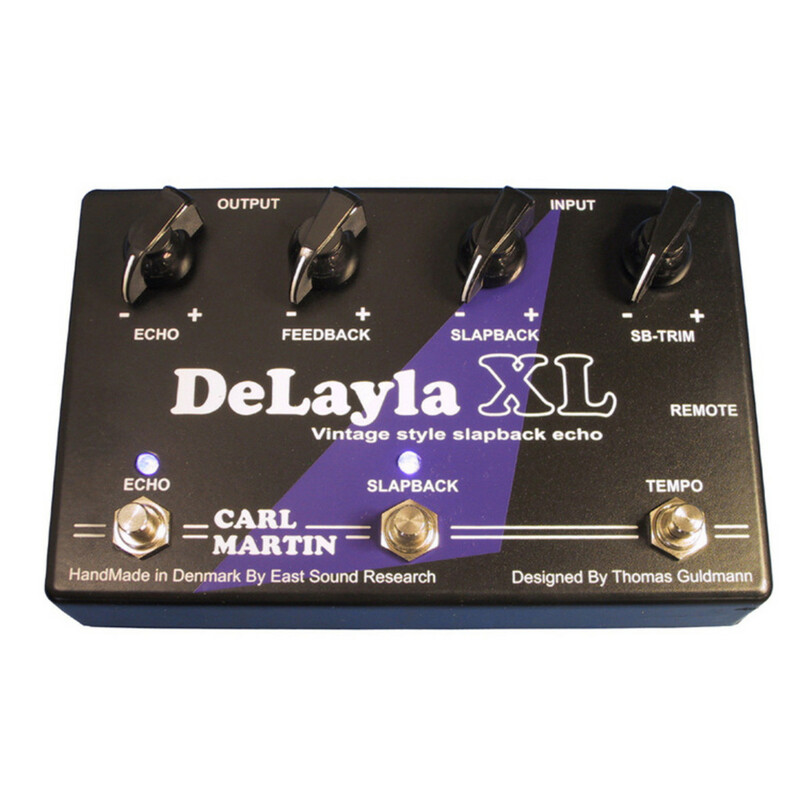 The Carl Martin DeLayla XL also features a built in regulated power supply.